Tree trimming from Placentia Tree Service not only brings a visually pleasing appearance to your outdoor area, but it also leads to sizeable returns. As the top company for affordable tree trimming in Placentia, CA, our tree care experts will trim your trees to make them healthier and more nice-looking. Tree trimming enhances your view by getting rid of dead or unnecessary limbs, as well as prolonging the life of your trees. 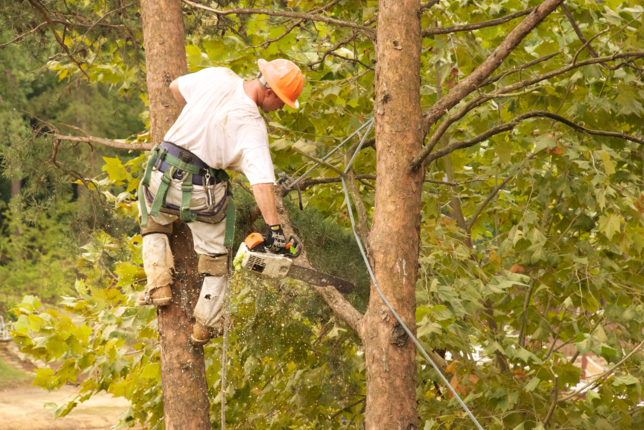 With 37 years of experience, we understand that correct tree trimming methods are vital for the growth of strong tree structures and correct shaping. Badly upkept trees are a huge liability and incorrect tree trimming creates long-term damage. Our tree professionals will with meet you to schedule a time and day to start working on your tree trimming project. If your tree trimming includes large trees, it can be hazardous work. We understand that it is not only important for the security of the person trimming the tree, but also for the property around where the tree sits. Properties, humans, and vehicles can be put at severe risk. Tree trimming makes a more attractive outdoor environment and enriches the lives of your trees. Extra branches mean extra weight and they will limit the amount of light your tree gets. Moreover, untrimmed trees give your yard an unkempt look. We are the principal business for economical tree trimming in Placentia, CA and the surrounding areas. Tree trimming is more than just cutting off branches. It is really considering how trimming will help both the tree’s health and attractiveness. Each tree is different and requires its own level of care. With our professional tree service, we make time to find out what you want to see in your updated outdoor space. ​We analyze the condition of the tree, and we will begin trimming your natural masterpiece. With our fair prices on tree trimming, you don’t have to worry about the price for tree trimming in the Placentia area. Tree trimming can be hazardous, particularly if the trimming necessitates the use of power tools. Trimming a tree is not for a beginner. Tree trimming is a vital part of tree care and maintenance. It not only improves the appearance of your trees, but it increases the longevity of your trees and your landscape. Our tree trimming work involves trimming the exterior branches, allowing us to construct the preferred shape of the tree that suits your outdoor area. We have the much-needed tools for tree trims and yard cleanups that will have your trees and outdoor area looking exquisite. Tree trimming is one of the most crucial tree service tasks. It is smart to set up a schedule for routine tree trimming to ensure your trees look good for as long as possible. Our intention is to make the neighborhoods in Placentia, CA area beautiful, healthier, and stronger. Having healthy trees is a huge part of having a healthy yard. If you are seeking a team of specialists to manage your tree trimming requests consider Placentia Tree Service.